“Most people think that water aerobics is really easy. They don’t realize how challenging water aerobics can be if used as a high-aerobic workout. Mitchell, an instructor for 11 years, has two morning water aerobics classes on Monday, Wednesday and Friday. The first is a shallow-water class from 9 a.m. to 9:55 a.m.; the second is a deep-water class from 10 a.m. to 10:55 a.m.
Another instructor Peggy Payne also teaches morning shallow-water aerobic classes from 7:45 a.m. to 8:40 a.m. on Mondays, Wednesdays and Fridays. 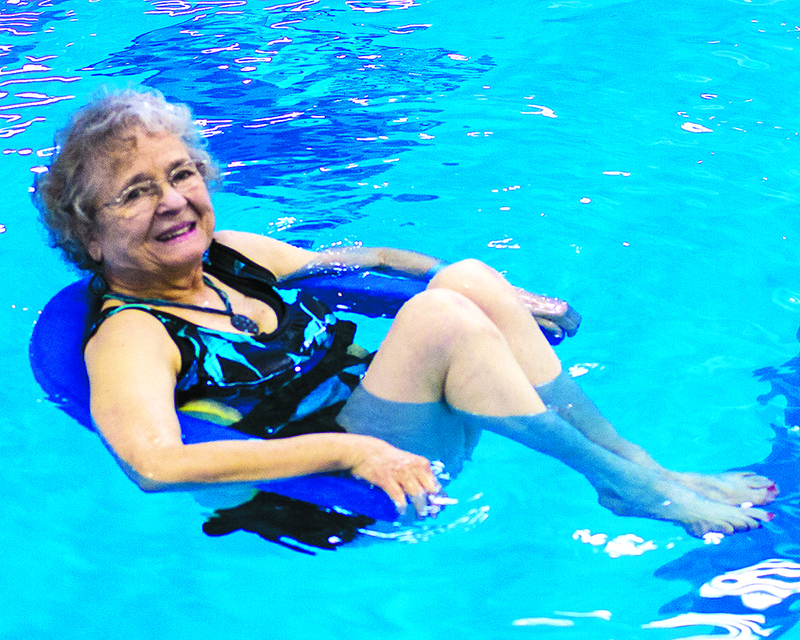 Evening shallow-water aerobics classes also are offered from 5:30 p.m. to 6:25 p.m. Monday through Thursday. Mondays and Wednesdays classes are led by Catherine Wilson. Tuesdays and Thursdays classes are led by Jodie Brister. OCCC students and community members can take these classes by purchasing a group fitness pass for $35 or paying a daily drop-in fee of $5. The group fitness pass allows access to all of the group fitness classes for a semester, while the daily drop-in fee allows one day of access. “I would like to see more students and staff come to the class and challenge themselves to see how well water aerobics work,” Mitchell said.